Musician Tony Camilleri, who rose to prominence with The Malta Bums in the 1960s and again in rock opera Ġensna, has died aged 70. Mr Camilleri, who was more commonly known as 'Bayzo', was a bass guitarist and vocalist whose long musical career saw him tour the world and win the hearts of thousands of Maltese. 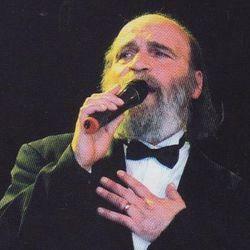 He took over singing duties with The Malta Bums following Freddie Portelli's departure, and with him at the helm the band released L-Ewwel Tfajla Li Ħabbejt, a hit which spent months in local charts in 1973. Mr Camilleri was also part of the band in its earlier years, playing on iconic hit Viva Malta and touring the USA and Canada. Following the breakup of The Malta Bums, Mr Camilleri branched out on his own and regularly performed at local events and hotels. He was part of 1980s rock-opera Ġensna, a huge hit which was staged more than 40 times and revived 20 years later and again in 2014. As a soloist, Mr Camilleri toured Australia, the USA and Canada in the 1980s and represented Malta in festivals in Poland and Slovakia. Born in 1947, Mr Camilleri was a St Paul's Bay resident. President Marie-Louise Coleiro Preca paid tribute to the Maltese singer through a social media post. "Important elements which continue giving the Maltese identity are undoubtedly Maltese lyrics and music. I pay tribute to Tony Camilleri... and thank him for his music and his unique voice," the President said. The Labour Party expressed its dismay at news of Mr Camilleri's demise, saying it was "a great loss to Malta's music and culture scene."